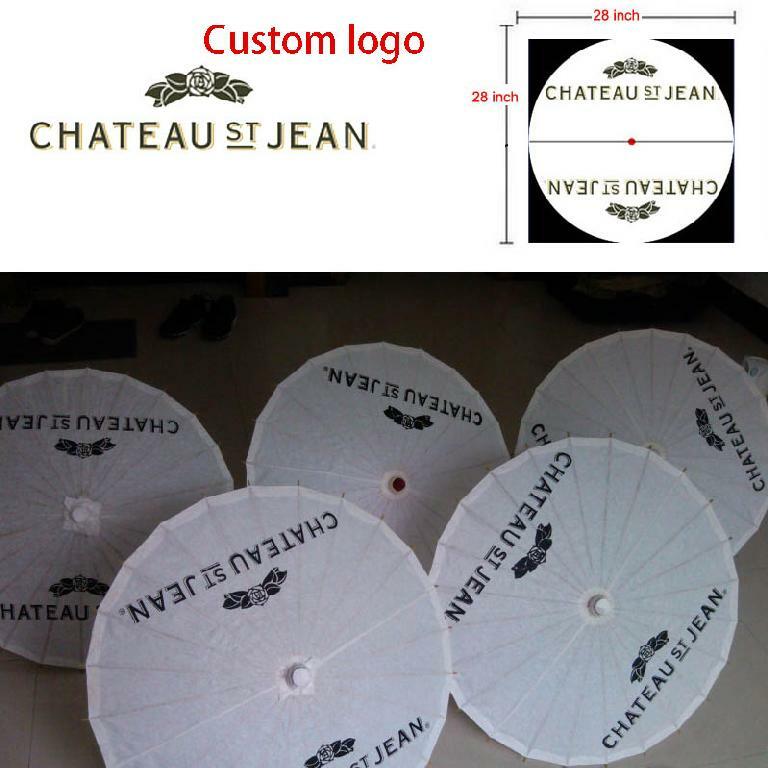 If you're looking to add a chinese sun paper parasols umbrella and wholesale parasols to your wedding or wine club event, these are sure to be a huge hit, because the older the gift the better, yellow asian parasol feature 8", 16", 22", 24", 28", 33", 37", 40", low quantity is available, place your custom LOGO anywhere on this chinese parasol with pink, light blue, dark blue, yellow, light orange, fresh orange, pink,rose red, green, dark purple or custom color. The Chinese are thought to have created the first waterproof umbrella when they lacquered paper parasols or paper umbrellas, so it would protect them from rain as well as sunlight. 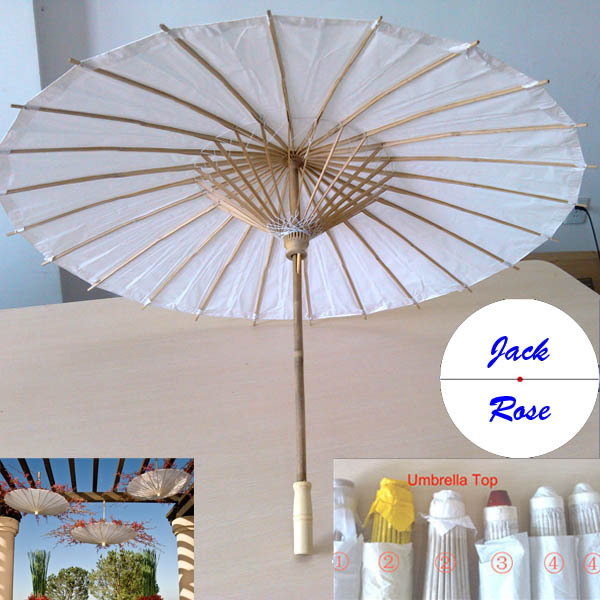 The first collapsible umbrella is another innovation of the paper parasol attributed to the Chinese. Eventually, paper parasols came to be associated with nobility and other high ranking officials. According to legend, at one time, 24 paper umbrellas were carried before the Emperor to protect him from the sun while hunting. 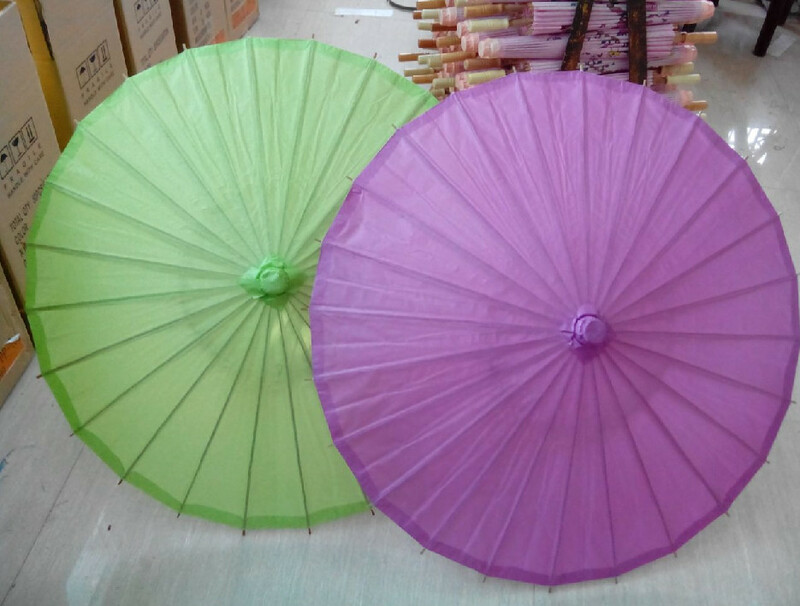 Learn more about paper parasols history. Today, paper parasols or paper umbrellas are both a fashion statement and an item of practicality. Subtle artistry and vibrant design define our varied selection of paper parasols and umbrellas. We feature a wide array of different colors, sizes, designs, and materials. Setup Charge : USD $ 100 for/within One color one side silkscreen, Run charge $.1/color,$.1/Logo.